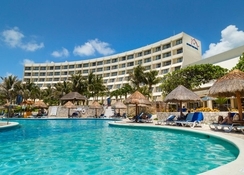 Grand Park Royal Cancun Caribe is an all-inclusive, family friendly resort located on a private 500m stretch of beach on the Caribbean Sea in Cancun. It offers 311 renovated and re-imagined guestrooms and suites offering stunning facilities gorgeous ocean views and plenty of beachfront activities, for guests to enjoy a relaxing beach break. 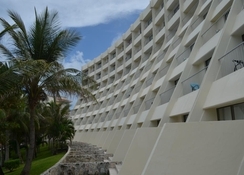 Strategically located, it offers proximity to most Cancun tourist attractions. All-inclusive guests enjoy comprehensive services like all meals at four classy restaurants, unlimited drinks plus kid’s drinks at lounges, fully stocked minibar, munchies in three refreshment stands, limitless pizza, expresso ice-creams and snacks, access to sizzling entertainment and non-motorized water sports and 24-hour room service. The hotel offers sparkling pools, a spa and a yoga studio which is fully equipped to serve as a luxury retreat for guests to refresh their bodies and minds. 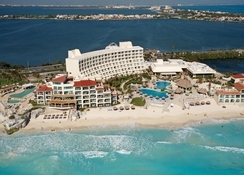 Located in Cancun’s Hotel Zone, Grand Park Royal Cancun Caribe is right on a 500m private strip of beach. Nearby are the area's best eateries, bars and shops. 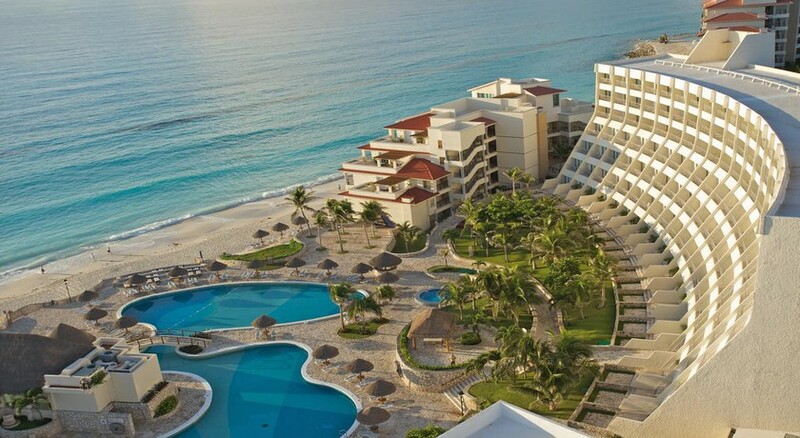 The hotel is just 20 minutes from downtown Cancun. 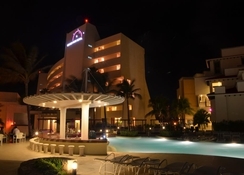 Coco Bongo and Plaza Forum are a short walk away. The Cancun International Airport is 23.2km from the hotel. All 311 guestrooms and suites are furnished with a modern touch. Guests can choose from Deluxe Room with Garden View, Deluxe Room with Ocean View, Premier Guest Room with Ocean View, Royal Tower Room – Adults Only, Premier Suite with Terrace Jacuzzi, Royal Tower Suite with Ocean View, Junior Suite with Ocean View, Villa Master Suite with Ocean View, Villa Suite with Ocean View and Romance Royal Tower – Adults Only. All rooms have excellent sea views, balcony, minibar, iron, writing desk and a flat-screen satellite TV. In addition, the villas offer 24-hour room service and butler service. 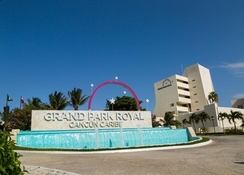 At the Grand Park Royal Cancun Caribe there are many mouth-watering dining options! 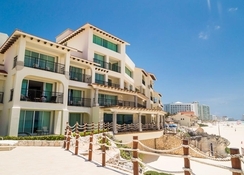 These include El Mirador, offering breakfast and dinner in a la carte, and Italian dishes; Cocay restaurant offering international cuisine – buffet style; La Concha offering delicious seafood for lunch and Mexican gourmet for dinner; and El Oriental Restaurant serving Asian delicacies. There are a host activities that guests can indulge in – such as non-motorized water sports, yoga sessions, etc. There are outdoor massages and exotic spa treatments. They can work out at a fully-equipped fitness centre. The neighbourhood has many nightclubs, eateries, bars and shops for guests to explore. Room service is once every 24 hours. The second service attracts a charge of 15 USD.